Last year, an Indiana University student was tragically killed when he stepped into the path of an oncoming car on Fee Lane. Another student was injured when he was struck by a vehicle on Tenth Street. 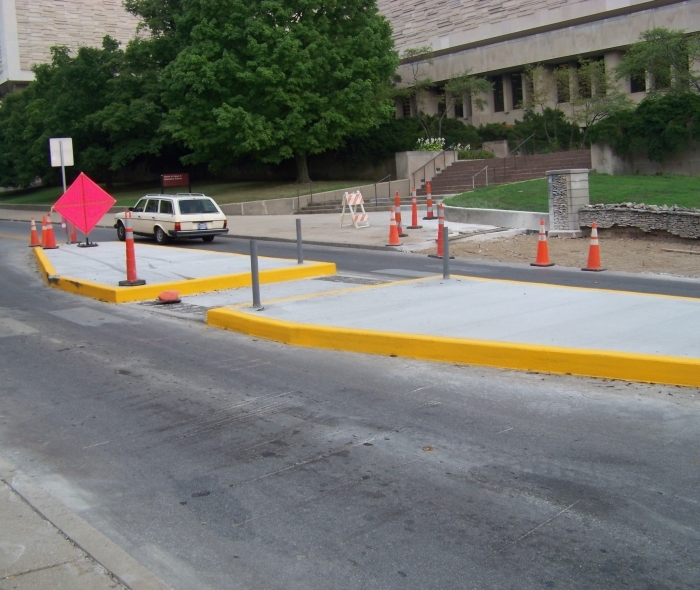 In response, Indiana University has installed traffic islands on Fee Lane, which was the site of the September 2009 fatality. I have less of a problem with the Fee Lane islands than the Tenth Street island. Students can walk a block in either direction and cross at Jordan Avenue or Fee Lane. The island is completely unnecessary: Tenth is no more dangerous than it was in 1993 when I was a freshman. In fact, with the timing of the light at Fee Lane allowing pedestrians to cross the street while all vehicular traffic is stopped, that intersection is actually safer than it was in the 1990s. 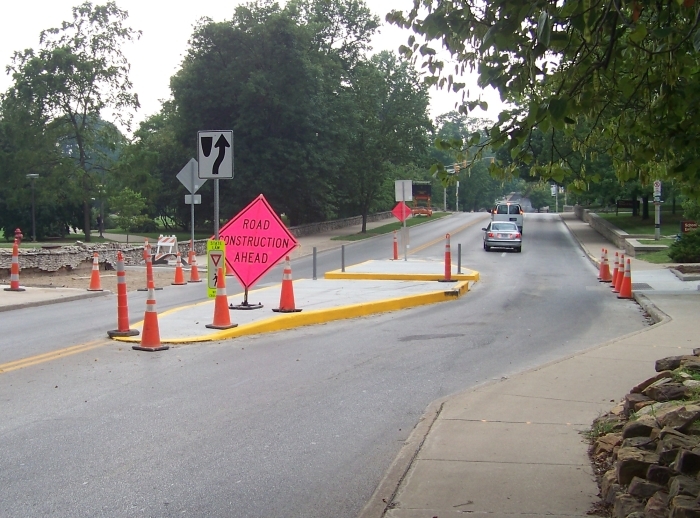 The main problem is that Tenth Street is incredibly clogged during the school year, so introducing a traffic "calming" device like this one will only serve to make campus even less drivable than it already is. Most drivers have to slow down quite a bit to navigate the island, and the bump-out makes it more likely drivers will smack the side of it. 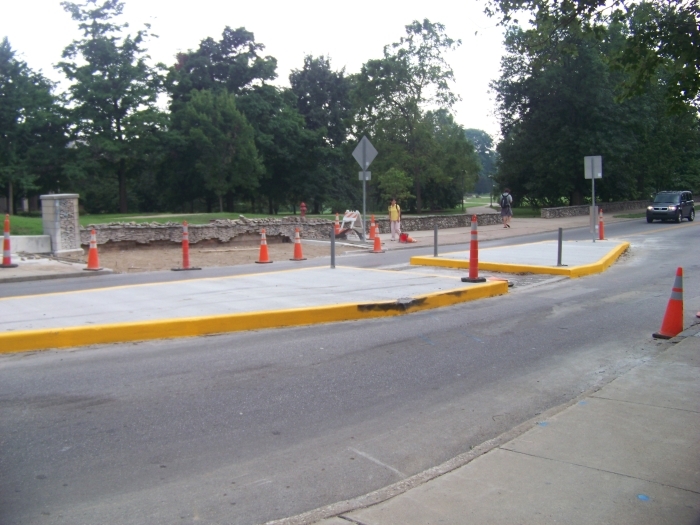 Pictures of the 10th street traffic island are below. Notice that the traffic island already has a skid mark.